Sunshine… blue skies…flowers in bloom …Spring is in the air! Do you love the unmistakably cheerful smell of spring every time you step outdoors? Now you can bring those fresh aromas indoors with these delightful spring diffuser blends using different combinations of essential oils. Using various spring essential oil blends in your favorite diffuser is a great way to fill your home with scents that are refreshing, invigorating, and uplifting. Essential oils from the floral, citrus aroma families are perfect for this season. You can create a variety of spring diffuser blends using various combinations of oils from these two aromas families. Spring diffuser blends using just floral aromas are peaceful and relaxing. These blends are evocative of fresh flowers in bloom. 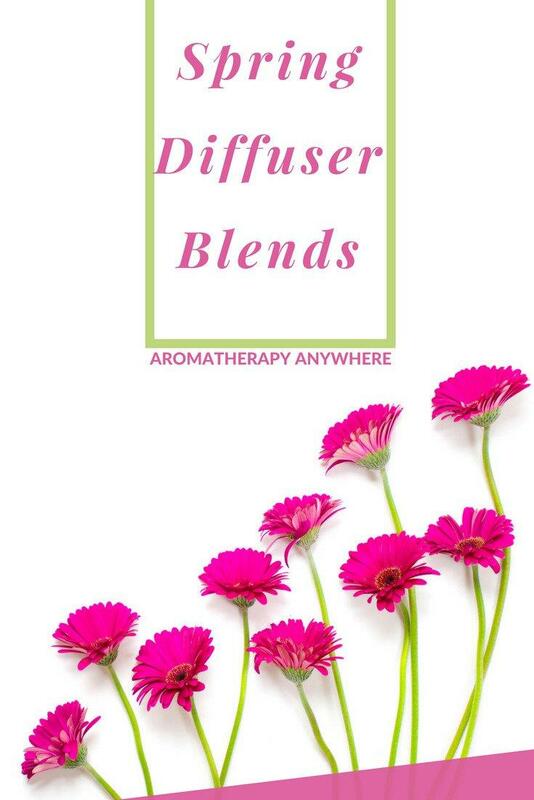 Spring diffuser blends using just citrusy aromas are cheerful and refreshing. It’s like bringing the sunshine indoors. A blend that combines both floral and citrus aromas is an absolute delight to the senses. It’s like taking a stroll in your flower garden in the bright sunshine on a clear day. There’s no better way to celebrate spring! The best essential oils for spring belong to the citrus and floral families. 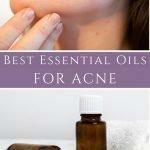 But you don’t have to restrict yourself to just these two essential oil aroma families. A drop of essential oil from the herbaceous or woody families can add a unique note to any spring diffuser blend. If you like experimenting to create your unique spring diffuser blends, try combing the essential oils below in different proportions and put the blend in your diffuser. You will end up with an endless array of unique aromas. Remember to write down the combinations you’ve used in each blend so that you can recreate your favorite spring diffuser blends several times over. In this spring diffuser blend, the combination of geranium, grapefruit and lemon essential oils gives off a fresh aroma with a hint of sweetness from the geranium oil. It’s the perfect way to celebrate spring! The sweet scent of Ylang Ylang pairs beautifully with the citrusy scents of Orange and Bergamot to emit an aroma that is fresh, cheerful and sunny. This is another spring diffuser blend that combines citrus and floral aromas. Grapefruit and Bergamot essential oils have light refreshing aromas that feel like a gentle breeze wafting through the rooms. The addition of Ylang Ylang adds just a hint of sweetness to the blend. Use this combination of floral oils in your diffuser to infuse your room with the gentle aroma of a bouquet of spring flowers. This combination of oils gives this blend an inviting floral scent that is almost like walking through a garden of flowers. Adding 2 drops of Jasmine Essential Oil to the blend will introduce a more pronounced floral aroma. Do away with floral notes completely with these citrus-based spring diffuser blends. The combination of citrus scents gives these blends a fresh, invigorating and re-energizing aroma. This citrus and herb blend is particularly great to use in your diffuser at the beginning of spring. It eliminates those musty odors from keeping your house closed up during the long, cold winter months and replaces them with the fresh scents of spring. This combination of herb and wood scents will remind you of walking through the woods on a spring afternoon. 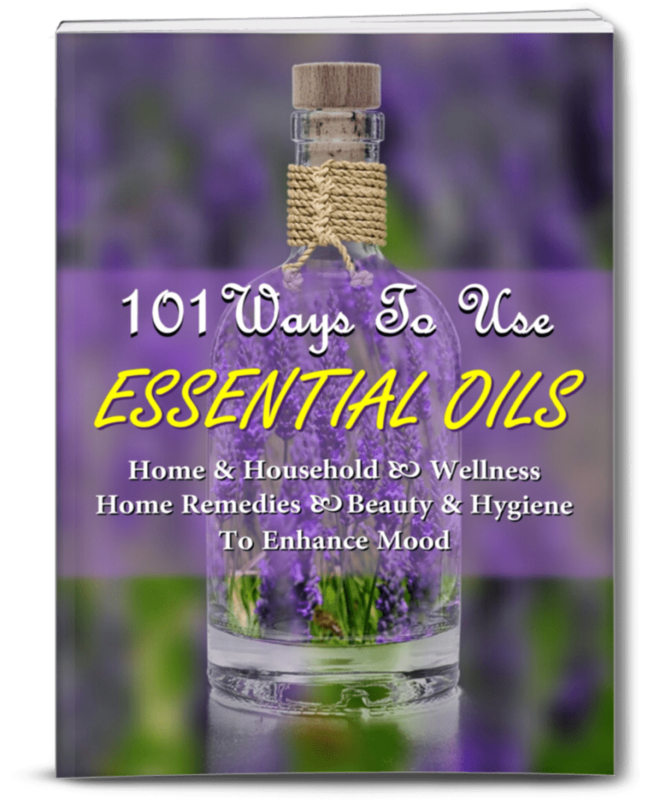 If you are looking to buy a whole set of oils to make a variety of diffuser blends, I highly recommend buying a set of essential oils instead of buying individual oils. 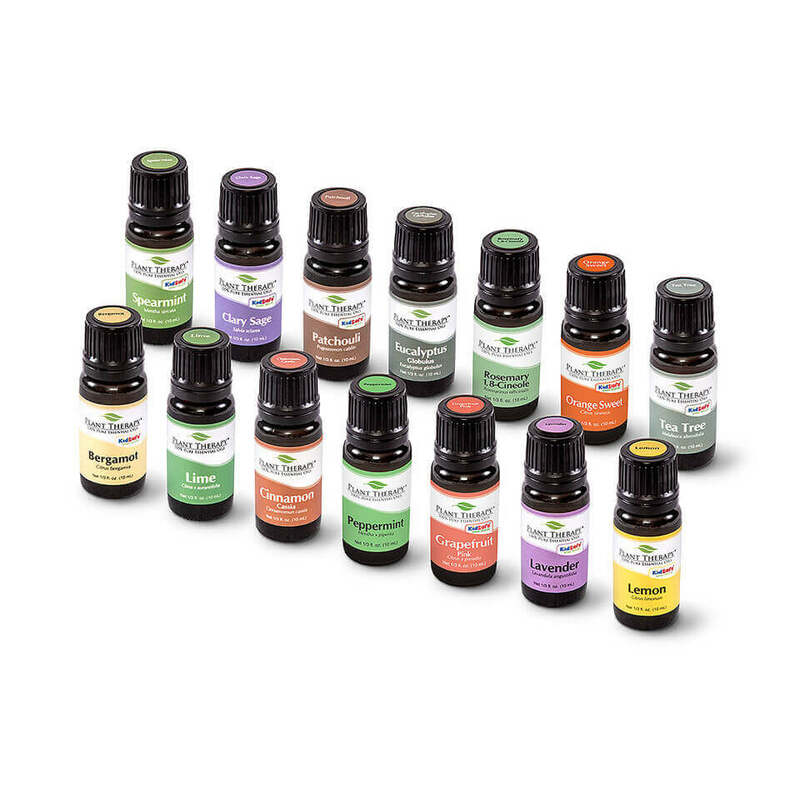 I use this Top 14 Singles Set from Plant Therapy to create my blends and for other uses as well. With this set, you will get some of the more commonly used essential oils including Lavender, Peppermint, Bergamot, Cinnamon, Lemon, Eucalyptus, Clary Sage, Spearmint, Tea Tree, Grapefruit, Rosemary, Lime, Patchouli, and Sweet Orange. All of Plant Therapy essential oils are 100% pure, organic so you get the therapeutic benefits from these oils as well as the lovely aromas. In addition to getting a set of good quality oils at a great price when you buy directly from Plant Therapy, you also get 10% Off SITEWIDE with your $60+ Purchase & FREE Shipping too. Use Code “10OFF60” to avail of this special offer.